Despite longstanding opposition, the Rock Creek Mine is closer to being permitted than at any time in its history. In December 2007, the Forest Service issued a Letter of Determination approving phase 1 or the Exploration Adit phase of the mine. 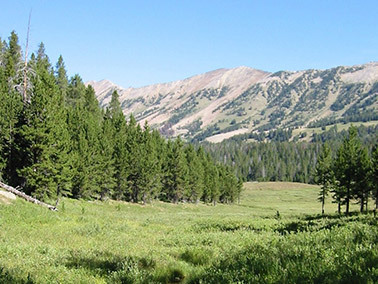 Following significant modifications of the exploration plan proposed by Revett Minerals, Montana DEQ released an Environmental Assessment (EA) in July 2008 to address these changes. Although many of the modifications would result in impacts to ground and surface water and potentially impact domestic wells, Montana DEQ approved the modified plan. The U.S. Fish and Wildlife Service also has signed off on Revett’s grizzly bear mitigation plan even though the mine would render over 7,000 acres of the bears already limited habitat unsuitable. The U.S. Fish and Wildlife Service has also concluded that for the mine to be permitted, it would be necessary to sacrifice Rock Creek’s bull trout population, which they claim is not critical to the overall survival of the species. The mismanagement by the agency of both threatened species violates the protections afforded under the Endangered Species Act. However, due to our pending litigation, no mine related activity, including exploration adit construction can take place on public land. We are working to inform area citizens of the perils of the Rock Creek project. Most importantly, we’re asking why our government-appointed officials would support a questionable company and mine plan with such a fragile ecosystem at risk. If permitted, the Rock Creek Mine could be disastrous for bull trout habitat in the lower Clark Fork River drainage as well as for Lake Pend Oreille, itself. It will also impact the region’s groundwater aquifer. As evidence, look no further than Revett’s adit construction plan, which will dump tons of sediment into Rock Creek without undergoing an appropriate environmental analysis and securing a pollution discharge permit. Rock Creek Alliance and a coalition of like-minded groups are challenging the agencies’ approval of the plan in court. 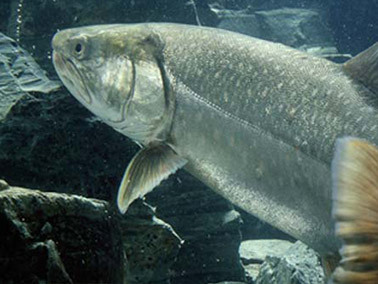 Bull trout require clean, clear, cold water to spawn and thrive. During the 5 – 7 year construction phase of the project, the Rock Creek Mine would introduce 400 – 1400 tons of additional sediment per year to a stream already impaired by sediment. This significant impact to the habitat of a threatened species should require a more detailed waste water discharge permit (MPDES permit) from the Montana Department of Environmental Quality. The state has instead opted to issue a broader general permit without the limits and protections of an MPDES permit. A general permit is not applicable because of the impacts, location, type, and volume of the discharge. This case requesting that MDEQ require an MPDES permit for the discharge, will be heard in Montana State District Court, Lewis and Clark County, Helena, Montana. No court date has yet been set. If permitted, the Rock Creek Mine will impact our country’s most endangered wildlife. Revett’s plan jeopardizes one of the last remaining grizzly bear populations in the lower 48 states and all but kills significant bull trout spawning habitat at a time when companies and government agencies are spending millions to protect the threatened fish. By suing the USFWS, we intend to get the agency to reconsider approval of Revett’s mitigation plan. This suit looks at the irreparable harm the mine would cause to threatened bull trout and grizzly bear, thus violating the Endangered Species Act (ESA). It asks the Court to overturn the Biological Opinion until the U.S. Fish and Wildlife Service (USFWS) complies with the ESA. The Rock Creek Mine will destroy or adversely modify bull trout critical habitat by increasing sediment in the main stem of Rock Creek by 38% and in the west fork of Rock Creek by 46% from construction and road building activities. The sediment would negatively affect all life stages of bull trout by impacting feeding, spawning, and sheltering activities. The USFWS dismisses the significance of maintaining bull trout in Rock Creek and the impact such a loss would have on overall recovery efforts for bull trout in the Columbia Basin. The mine would displace grizzly bears from over 7,000 acres of habitat, impacting 40% of the breeding females in the Cabinet-Yaak Ecosystem and leading to the possible death of one or two adult females. It also would sever important travel corridors. Currently, the population is estimated to be between 30 and 35 bears. To counter the effects of the mine, the USFWS is relying on a faulty mitigation plan entailing the future acquisition of just over 2,000 acres of replacement habitat. 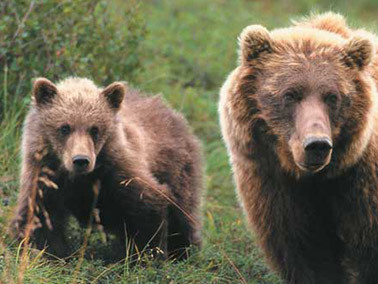 If the habitat is even available and is suitable, it is likely already occupied by grizzly bears. Motions for Summary Judgment were filed in the spring of 2008. A court hearing has not yet been scheduled. Much of the land impacted by the Rock Creek Mine falls under the jurisdiction of the US Forest Service. 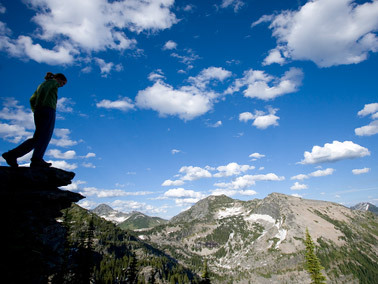 Its approval of the Rock Creek mine violates federal laws enacted to protect public lands, water, and wildlife. This suit charges the agency with violation of several federal acts including, but not limited to, the Clean Water Act, Endangered Species Act, National Forest Management Act, and the National Environmental Policy Act (NEPA). At issue is impairment of water quality by the introduction of sediment that is injurious to fish and the agency’s failure to maintain and protect fisheries and wildlife habitat. By law, the Forest Service must ensure that its actions do not jeopardize a listed species or destroy its habitat. Furthermore, the agency is bound to conduct an adequate analysis of the impacts of the project, develop courses of action that evaluate all reasonable alternatives and are based on sufficient information, adequately review all mitigation measures, and fully disclose all impacts for public review. The Forest Service has failed in all areas of its duties. This suit asks the court to permanently enjoin the Rock Creek project until it complies with all federal laws. Motions for Summary Judgment were filed in the spring of 2008. A court hearing has not yet been scheduled. This suit and the suit challenging approval by the USFWS have been combined and will be jointly considered by the court.